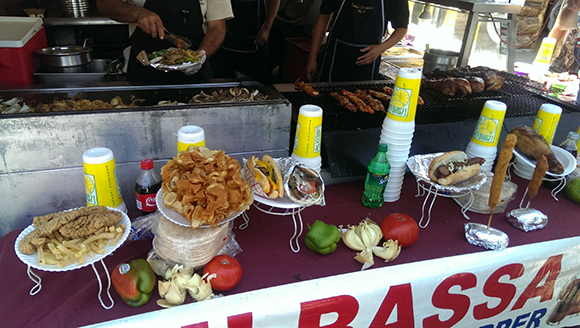 When it comes to food, the Sturgis® Rally provides a great opportunity to sample some local and regional fare. You will find no shortage of options for places to eat in Sturgis and the surrounding Black Hills area. Whether you want a full sit down meal, or just a quick bite to eat, you will find many restaurants, delicatessens, and even food trucks to satisfy your hunger cravings. There is a wide variety of restaurants serving up traditional food such as burgers, pizza, sandwiches, and pasta. Want to step outside of the box? Try some native game or deliciously prepared buffalo. There are menus available to satisfy most every diet preference; including organic and vegetarian. If you are looking for somewhere to grab a drink, there are plenty of local watering holes. Coffee shops, breweries, wineries, and bars can be found throughout the Black Hills area. Stop in and cleanse your palate with a locally brewed beer or wine, locally roasted coffee, or just a tall glass of ice water.